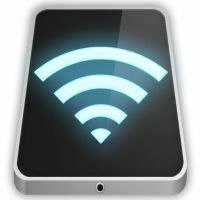 I have a Windows laptop that I mainly use for work and blogging, a PC at home that is configured to act as a HTPC (Home Theater Personal Computer), an iPhone and an iPad. When I am at home, all these devices are connected to my local network via WIFI. Some of my devices download files like eBooks, while others act as my eBook reader, the same thing happens with movies. so there is this need for me to easily share files amongst my devices and I dont want to connect my iPhone/iPad to the PC/laptop via USB - its just too much effort and I am sure I can find a better solution.